We have a true passion for empowering you to make a more meaningful impact in the world. Recognized as a leader in values-based investing and philanthropy, Glen is a co-founder and Chairman of the Wealth & Giving Forum, an organization that promotes the effective deployment of capital among families and foundations seeking positive financial, social and environmental returns. 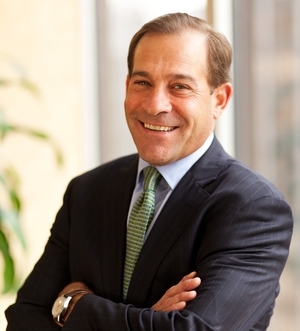 Glen Macdonald is also a Managing Director of Bronfman Rothschild, an investment advisory firm serving families, privately held businesses, foundations and endowments. He was previously a Senior Vice President and Institutional Client Advisor with U.S. Trust, a Principal at a private equity firm, and a Partner at PwC’s management consulting unit. Glen has presented his perspective on the capital markets, impact investing and philanthropy at various conferences, including the Forbes Family Business Conference, Vaclav Havel’s Forum 2000 Conferences, Big Path’s Impact Capitalism Summit, the Social Impact Exchange Conference, and the Family Wealth Alliance. His views on industry, markets and financial management have appeared in a Wall Street Journal article he authored and in interviews with the New York Times, Financial Times and the Chronicle of Philanthropy. Glen was a recipient of a Ford Foundation Fellowship at the Harvard Center for International Affairs, a Chateaubriand Fellowship in France, and a Fulbright Scholarship to conduct research in Mexico. His research and writings have focused on economic development, foreign direct investments and the formation of common markets. 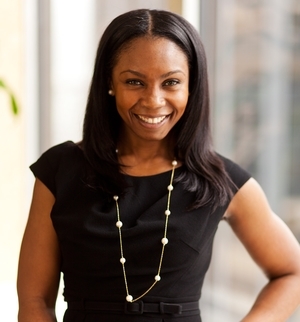 Roxanne Ozoude serves as Executive Director of the Wealth & Giving Forum. She guides the development and execution of all initiatives, manages the organization's engagements and activities, and oversees the Senior Advisory Board. Roxanne also founded and is Chief Consultant at Ijeoma Consulting, LLC, a boutique marketing and business consulting firm. She has 15 years of experience in business and brand building. She began her career as head of marketing and client service at Waterford Partners, LLC, a New York-based long/short, developed and emerging markets hedge fund. After mastering the intricacies of the hedge fund business, she joined Hillview Capital Advisors, a private wealth management firm headquartered in New York. Initially, she spent her time there as part of the investment research team, but soon became the Director of Investment Services and ultimately, the Director of Marketing. As the firm's marketing director, she was responsible for the design, development, and execution of the firm's marketing strategy, including branding, internal and external communications, events, client education, and relationship development. Roxanne's professional experience ranges from hedge fund client service and portfolio analysis/administration to strategy analysis, marketing and brand development in the wealth & investment management industry. Specifically, her experience in high net worth client service and relationship development has honed her perspective on philanthropy and the intersection between investing and social impact. She is a member of the NYC Advisory Board for Friends of Karen, an organization focused on providing support for children with life threatening diseases, and their families. She is also an active committee member for the Child Center of New York. Roxanne earned a B.A. in Economics (with a concentration in Finance) from Binghamton University. Randy Kaufman is a Wealth & Giving Forum Senior Advisor. Randy is a Senior Vice President at EMM, a wealth management firm in New York City. She focuses on EMM’s strategic growth as well as client relationship management. Randy’s expertise includes estate and income tax planning, pre-deal planning, multi-generational issues, impact investing and philanthropy. Randy earned her Juris Doctor at the University of Chicago, and her Bachelor's degree at Middlebury College. Liz Stern is a Wealth & Giving Forum Senior Advisor. Liz has been a philanthropic advisor to individuals, families, foundations and corporations since 2007. Liz develops strategic legacy and philanthropic plans to drive social impact for her clients. She is the board chair of the Arnhold Global Health Institute at Mount Sinai and has also served as an advisor to non –profit organizations for over fifteen years. Liz is known as a resourceful, imaginative, and decisive problem-solver; passionate about leveraging assets to address the social and humanitarian challenges we face today. Liz was previously an investment banker and has advised companies on business strategy and financial management. Liz received her B.A. from Pomona College and her MBA degree from the Anderson School at UCLA. Liz is an avid traveler, approaching 100 countries, an Art lover, runner and bicyclist. She resides in New York City with her two daughters. Joanne Heyman joined Wealth & Giving Forum as a Senior Advisor and also CEO and Founder of Heyman Partners, consulting firm recognized as a thought leader, innovator and key advisor within the pro-social sector. As a coach and a consultant, she counsels leadership on all sides of the philanthropy table – non-profit, foundation and business. Earlier, she drove the growth and success of a wide variety of organizations worldwide. She was the founding Executive Director of Donna Karan’s Urban Zen Foundation and served as the Executive Director of The International Center in New York, Vice President of The Corporation of Yaddo, and a senior advisor to The Goldman Sachs Foundation and the American Jewish World Service. Ms. Heyman holds an MA from the Columbia University School of Public and International Affairs and a BA in Comparative Literature from Smith College. She serves on the Advisory Boards of LitWorld, Serengeti Scholars and Compass Kids. She is a regular lecturer and Capstone Advisor at Columbia University and is a member of NationSwell. Steve Godeke is a Wealth & Giving Forum Senior Advisor. He is also founder and CEO of Godeke Consulting, working with foundations, corporations, and non-profit organizations to integrate their investment and philanthropic goals. Godeke Consulting helps foundations, endowments, families and investment managers drive positive change. Since 2001, Steven has worked to source, structure and execute impact investment strategies across a range of sectors and to connect his clients to the best partners and resources. He leads independent searches for impact investing advisors and works with investment managers and funds to deepen the environmental and social impact of their offerings. His clients have included the Rockefeller Foundation, the Ralph E. Ogden Foundation, Robin Hood, Voqal, F.B. Heron Foundation, K.L. Felicitas Foundation, the MacArthur Foundation, Rockefeller Philanthropy Advisors, The Conference Board, The Social Investment, Deutsche Bank, Thornburg Investment Management and the National Community World Economic Forum and investment management firms such as Domini Investment Fund. Steven has led in the education of the next generation of impact investors. He is an adjunct professor of finance at New York University’s Stern School of Business where he teaches Investing for Environmental and Social Impact and at the Center for Global Affairs where he teaches a course in Microfinance and Social Entrepreneurship. Steven has also been at the forefront of knowledge building for the impact investing industry through several groundbreaking publications. He is the author of Building A Healthy and Sustainable Social Impact Bond Market: The Investor Landscape (2012); Solutions for Impact Investors: From Strategy to Implementation (2009) and Philanthropy’s New Passing Gear: Mission-Related Investing, A Policy and Implementation Guide for Foundation Trustees (2008). Prior to establishing his own firm, Steven worked for twelve years in corporate and project finance with Deutsche Bank where he structured debt and equity products and advised corporate clients in the natural resources, telecommunications, media and real estate industries. Steven is a trustee and chairs the finance committee of the Jessie Smith Noyes Foundation, a private foundation with a long history of integrating its investments and social justice mission. Steven is also on the board of the Jackson Square Alliance and is a Core Team Member of the West Village CSA. Steven grew up on a family farm in Southern Indiana and attended Purdue University where he received a B.S. in Management and a B.A. in German. He studied as a Fulbright Scholar at the University of Cologne and earned an M.P.A. from Harvard University. Julie Shafer is a Wealth & Giving Forum Senior Advisor and Head of Strategic Philanthropy and Purpose Investing for Family Wealth Advisors, the ultra high net worth division of Bank of the West Wealth Management. She helps personalize giving strategies for families and individuals through the exploration of giving goals and motivations and creates customized strategies that are effective and measurable to allow not-for-profits to quickly develop a model of sustainability and impact. Bruce DeBoskey, J.D., the newest addition to the Senior Advisory team, is a Colorado-based Philanthropic Strategist with The DeBoskey Group, a national consulting practice founded in 2010 to help families, individuals, businesses and foundations design and implement thoughtful philanthropic strategies to achieve meaningful impact for themselves and their communities. Bruce writes an award-winning, nationally-syndicated column “On Philanthropy” appearing initially in the Denver Post and then distributed to over 600 newspapers and other news outlets across the U.S. and abroad. He is the Dean of Philanthropy for the Purposeful Planning Institute and a Certified 21/64 Trainer. Bruce served for nearly nine years as the Anti-Defamation League’s Mountain States Regional Director, and before that, as a Colorado civil trial lawyer.